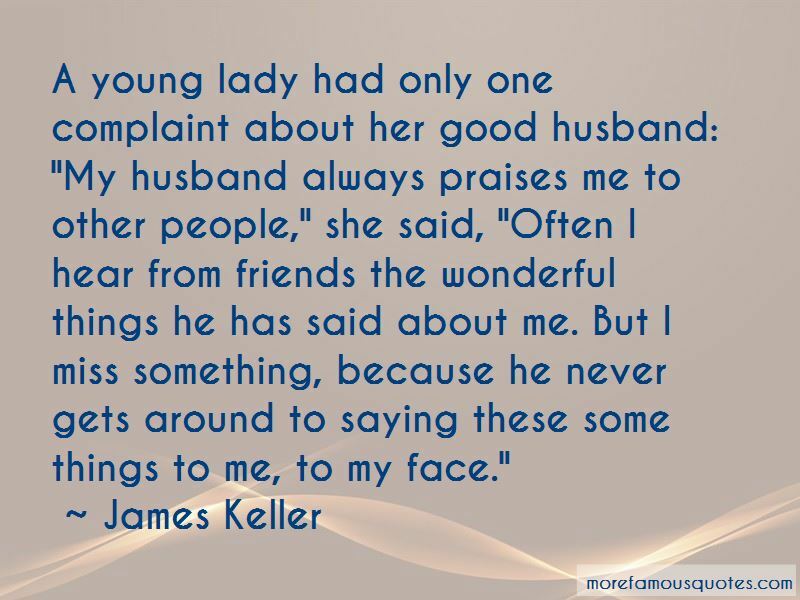 Enjoy the top 24 famous quotes, sayings and quotations by James Keller. What this country needs is more people to inspire others with confidence, and fewer people to discourage any initiative in the right direction more to get into the thick of things, fewer to sit on the sidelines, merely finding fault more to point out what's right with the world, and fewer to keep harping on what's wrong with it and more who are interested in lighting candles, and fewer who blow them out. 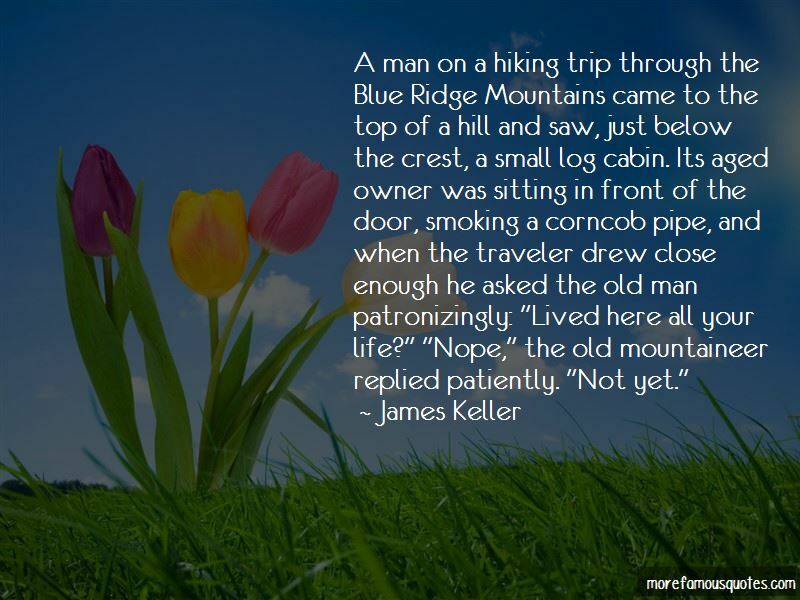 A man on a hiking trip through the Blue Ridge Mountains came to the top of a hill and saw, just below the crest, a small log cabin. Its aged owner was sitting in front of the door, smoking a corncob pipe, and when the traveler drew close enough he asked the old man patronizingly: "Lived here all your life?" "Nope," the old mountaineer replied patiently. "Not yet." 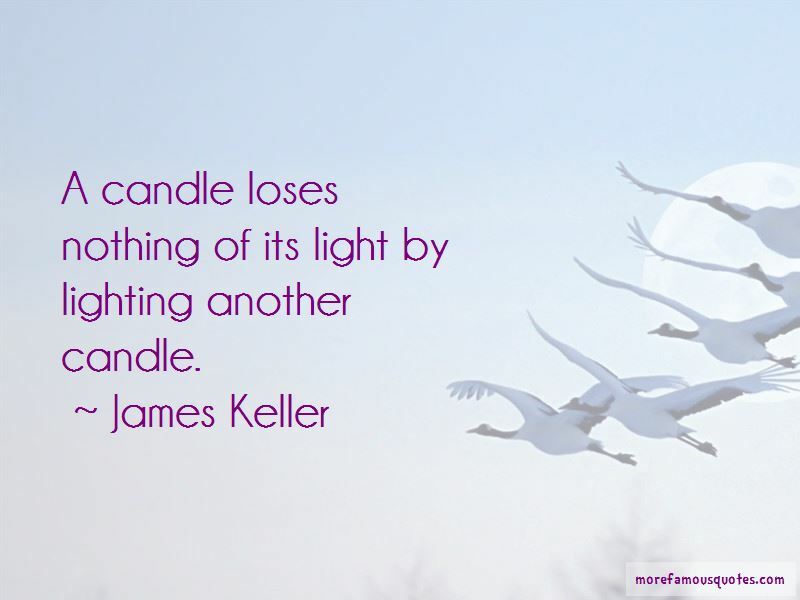 Want to see more pictures of James Keller quotes? 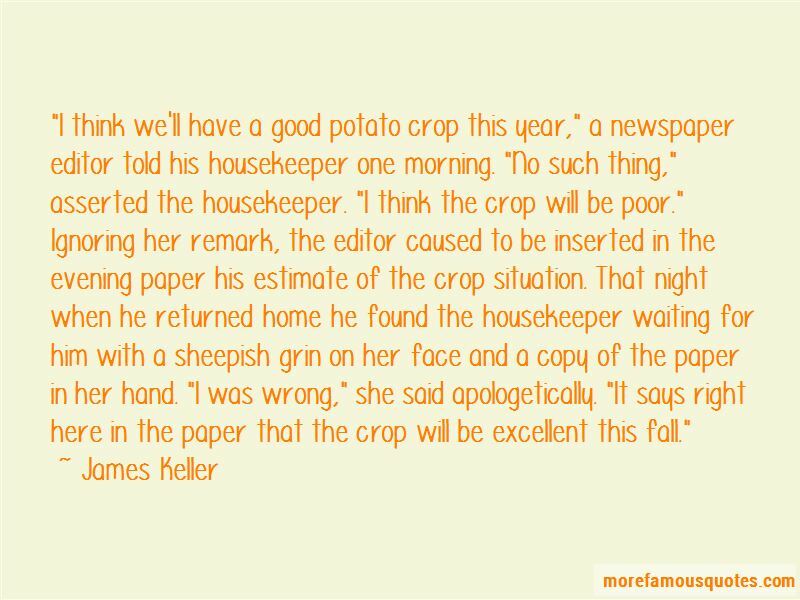 Click on image of James Keller quotes to view full size.